Kim Carr was born in Tumut, New South Wales, in 1955. He was educated at New South Wales and Victorian state schools and at the University of Melbourne, where he completed a B.A. (Hons), M.A. and Dip. Ed. 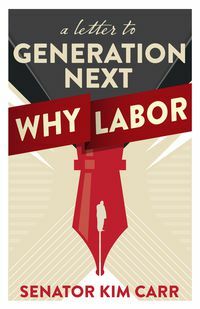 Before entering parliament he worked as a secondary school teacher in Melbourne's northern suburbs, and policy adviser to the Cain and Kirner Victorian Labor Governments. 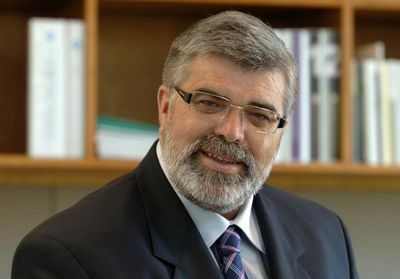 Kim Carr was elected to the Senate in 1993 and to Labor's front bench in 1996, serving first as a Parliamentary Secretary and Opposition Spokesman on Education in the Senate (1996-2001), and then as a shadow minister (2001-07). Between 1993 and 2007 he also worked on more than twenty Senate committees, he was Manager of Opposition Business in the Senate from 1996 to 2001. Following Labor's election victory in 2007, he was sworn in as Minister for Innovation, Industry, Science and Research on 3 December that year. From December 2011 to May of 2012 he was the Minister for Manufacturing and Defence Material. He served as Minister for Human Services from March 2012 until March 2013. Senator Carr is married, has four children, and enjoys reading history and fiction, watching the Bulldogs and trout fishing.